Saul Kripke (1940-) is a philosopher, with a particular interest in logic. People who are interested in formal logic do not, mostly, overlap very much with people who are interested in Wittgenstein’s later work; the Philosophical Investigations sometimes seems almost calculated to annoy people who like things to be neat in the mathematical way. (This could be the case. Wittgenstein wasn’t a huge fan of traditional analytic philosophy, although he was good at maths and had a great interest in philosophy of mathematics.) However, among many other interesting lines of work, Kripke wrote a book about Wittgenstein’s anti-private-language argument, Wittgenstein on Rules and Private Language. It was actually through this book that Wittgenstein’s work first came to my attention. This book first came to my attention when a lecturer of mine used an example from it in one of my very first Elementary Logic lectures, which I was thoroughly enjoying. As far as I remember, the example was to illustrate a point of logic, and the book was only mentioned by way of a caution: remember, we were told, Kripke is wrong about everything else he says, especially about Wittgenstein. Well, nothing makes me look up a book quicker than being told it’s all wrong, so naturally I hunted it out in the library. I don’t think I understood very much of it at the time – there are probably still parts I don’t fully appreciate. However, I didn’t see any particular reason to think that Kripke was wrong, and I thought the ideas he put forward were very interesting, especially those about rule-following. When I came to read Wittgenstein’s own work, a little later, I did come to agree that Kripke’s version of Wittgenstein is probably some distance – sometimes a long distance – from what, as far as we can tell, Wittgenstein himself had in mind. However, I do still think that some of Kripke’s key ideas are useful. Even his approach to Wittgenstein, which encourages a broad reading of the text rather than a narrow focus on one or two passages, is basically sound in method. For me, the most striking part of Kripke’s argument is his ‘quus’ example, which poses the sceptical problem about rule-following in mathematics. In essence, this asks how we know that we are using the function ‘plus’ correctly. Can we tell whether we are really using ‘plus’, or its weird alternative, ‘quus’? There’s a clear explanation of this at the start of this paper, Kripke’s Skeptical Paradox [pdf]. One group of questions about knowledge might be called the sceptical: do we really know anything? if we do, how do we obtain that knowledge? how does ‘knowledge’ relate to the real world, and what goes wrong when we think we know something which turns out to be untrue? This post is not about those questions, because this is my blog not one of my undergraduate philosophy essays. If they fascinate you, you could read about Gettier problems for starters. Some of the sceptical questions have religious counterparts – the most obvious is probably: do we know that God exists, and if so, how? This post is not about those questions either. They are interesting, and worth asking in some contexts, but it’s not always useful to debate them – especially on the internet. Anyway, there’s a much more interesting question about the role of knowledge which I want to ask today. What do we need to know in order to participate in a religious practice – such as a Quaker meeting, a Pagan ritual, or a Buddhist meditation? I don’t think that we need to know that the metaphysical claims made by the religion are true. It might be nice to feel that we do, we might want that reassurance before we fully commit ourselves to a particular religious path, but in order to begin, in order to participate, we don’t need to know about the truth of the claims. You can sit in Meeting and doubt the reality of God, and sit in meditation and doubt the reality of nirvana. I know, I’ve tried! I admit that these doubts can change some things about the experience; in particular, if you’re having those kinds of doubts you might wonder why you’re bothering to practice at all, which changes your experience of the practice itself. However, if the practice has other tangible benefits which are not tied to the metaphysical claims – it calms you down, it cheers you up, it’s a social occasion – I find it relatively easy to get past this, and participate wholeheartedly despite my metaphysical questions. I’m not even sure that you need to know what all the metaphysical claims are. The first time I sat in Buddhist meditation – in a Quaker meeting house, so it goes – I knew almost nothing about Buddhism as a religion. I knew a bit about Buddhist artwork (this is the result of self-educating using mainly the British Museum! ), and I assumed that nirvana was the same as moksha (I’d studied Hinduism at A-level). That was about it, really. These days, I’m hardly an expert but I know rather more, and I don’t think that changes much about my experience of, for example, chanting the Green Tara mantra. Even writing a PhD about Quakerism doesn’t seem to be changing what I do in Meeting for Worship, except inasmuch as sometimes I think about my PhD – but before I started, I thought about being on the dole. Obviously, you do need some knowledge in order to engage in any of these practices – you need to know what to do! To join a Quaker meeting, you need to know where and when to find one, and when you get there, someone is likely to make sure that you are expecting silent worship, ministry as led, and a handshake at the end. Beyond that, though, you’re often left to your own devices. Some forms of practice, being more complicated, require more information before participation is possible – but being handed a photocopied liturgy is only ‘obtaining knowledge’ in a very broad sense of the word! Perhaps, if knowledge is not so important, what we need is something more like wisdom. To me there’s something a bit magic about knitting. You take a ball of wool, which is basically nothing much, it’s pretty useless on its own, and two needles, and it becomes cloth, with nothing more than loops. Most textile creation at least requires you to begin with lots of bits of wool – weaving needs at least two, warp and weft, and more for patterns; lace making many, loaded onto bobbins; embroidery begins with cloth and merely embellishes it. To be fair, there’s crochet, too, and knitting with multiple colours requires lots of bits of wool – but at the core, it takes very simple ingredients and makes something. From time to time, we have a discussion about whether knitting in Meeting for Worship is acceptable or not. It’s rare in plain worship, but some people do knit in Meeting for Worship for Business or Learning; I suspect Young Friends are more tolerant, and some people find that a little repetitive action focuses the mind. It might as well be knitting, especially if you have a knitting ministry. In my family, we sometimes observe that in order to make something from nothing, you need to begin with a large collection of nothing. Drawers of cloth, bags of balls of wool, shelves of computer parts, everything in the cupboard under the stairs – things which by themselves are mostly useless (one nail? six yards of yellow-and-brown check? a hard drive?) but which in the right circumstance are just the thing. Sometimes I think that our meetings or our committees are a bit like that. You need a certain amount of stuff – people willing to offer service – and when a job comes up, you’ll be able to find something to do it. It might not be quite what you’d envisioned – you were looking for red wool and you’ve only got pink – but this is the serendipity of volunteer work and home collections. You could go on eBay and buy red wool, and you could go on monster.com and hire a secretary, but it’s often more efficient and more satisfying to make use of what you’ve got. Sometimes it requires some lateral thinking – the mosaic pieces of my last collage landed on the doorstep as an IKEA catalogue – but in order to do that, you have to begin with enough nothing. By the time this post is published, I’ll be on my way to Britain Yearly Meeting. I’m not going to take my knitting, although I might slip some cross-stitch into my backpack. I will be taking some ‘nothing’ and some tools to add to the collection, though – a laptop, my previous experiences of worship and writing, paper, pens, poetry, and an open mind. There are hundreds of pagan books which have been published as e-books, many (although not all) of them for the Amazon Kindle. Aware that Amazon is sometimes a problematic company, I nevertheless preferred their Kindle as an e-book reader for its paper-like screen, buttons rather than touch, and the option to have a keyboard. Here are some of the pagan books I have particularly enjoyed – all can be found on paper as well. 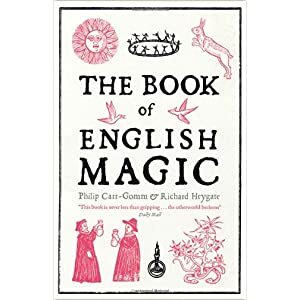 I’m sure this is a foundational text for many people who are interested in British and Celtic paganism – I know people who have read their copies until they fell apart, and others who have tattoos based on those described in this book. 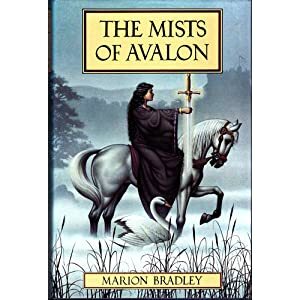 I re-read it recently, having first read it as a teenager, and found much to appreciate. 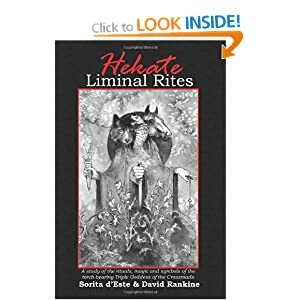 I wasn’t an expert on Hecate when I found Her name in my spiritual experience – I’d heard of Her, enough to know the name, but not really enough to understand what Her presence meant or to suggest appropriate reactions. I found this book immensely helpful in that stage of my journey. A huge book in print, as a Kindle edition it is easy to read a little at a time – and I have appreciated the Kindle’s search function in using this as a reference volume later on. I especially like to go back to the exercises at the end of each section, choosing from them as different things appeal to me. Recently my local Quaker Meeting hosted a workshop run by a group called The Kindlers. Usually that wouldn’t merit mention on my Pagan blog – but I was very stuck by the connections in our content. This workshop was called ‘Sacramental Vision’ – we looked, in light of Friends’ commitment to sustainability and low-carbon living, at how our spirituality and the earth relate. Using resources like the theology of Matthew Fox, we explored the sacredness of nature – bordering on pantheism at times, although there seems to be a leaning towards panentheism. (I remain agnostic about the ‘en’, personally, but some folks are very attached to it.) The aim of the Kindlers movement and their workshops is to open up discussion, and they succeeded in that quite clearly. I was glad to have the chance to discuss such things openly with other Quakers – and pleasantly surprised that Friends were not horrified or even worried about mention of seasonal rituals. Nobody used the word ‘pagan’, but we did speak about Gaia, Mother Earth, and world-as-deity. At that point I think you’re quite close. For me, the Kindled thing I have taken away is a greater sense of integration: both between between my spiritual traditions, something I sometimes struggle for, and between myself and the world – what in my other tradition I would call the insight of interbeing. The day after the workshop I went to Meeting for Worship, where we had some tulips on the table in the middle (as we often, although not always, do). Tulips always seem to me to be a very Goddess flower, strong, sensual, curvy, and this red one was drooping rather, head down as if resting. In the middle of Meeting, one of her petals gave way – dropped down onto the table with a soft sound. In the moments after that, I could actually see it: the compost in the tulip.